With a title like Too High to Say Hello, what do you expect? Some kind of stoner simplicity? Trippy psychedelic weirdness? 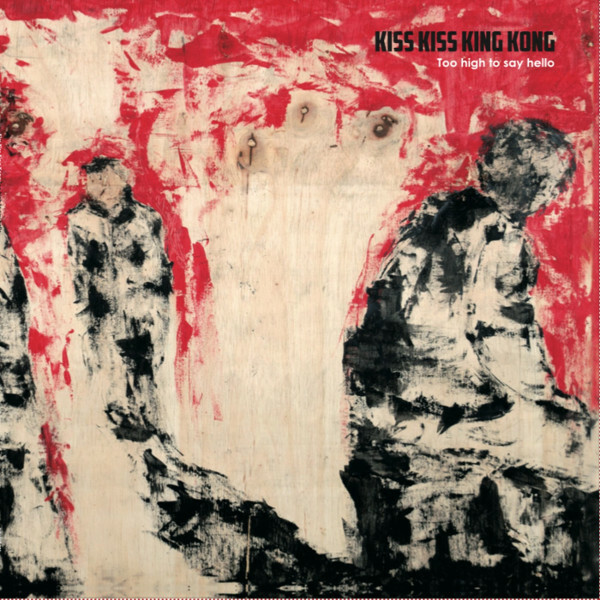 In the case of Kiss Kiss King Kong, it’s neither, though maybe bits of both show up. It’s more a (more or less) clever pun without any real meaning. Certainly the band is inclined towards humor in their titles — they have tracks called “668: Neighbour of the Beast (Pt. II)” and “Bordell California” — and there is a certain lightness to the music, even when they rock hard. This Bergen band (yes, another band from Bergen) released this album in 2015, but it seems to have been somewhat overlooked at the time, so Apollon is giving it another push. I, for one, am glad they did. This is a really enjoyable album with a style that blends several elements together in a distinctive way. One aspect is a kind of Hawkwind-like space rock, with head-bobbing riffs, trippy effects, and some freakout improv moments. Another aspect approaches Motorpsycho’s sophisticated psych-rock, including some acoustic touches. There’s also “Rock All Night,” a kind of homage to 70s rockers like Thin Lizzy and Sweet, which is done well enough to rise above simple tribute (or parody) and is a good tune in spite of the “big dumb rock” trappings. “Bordell California” is the album’s centerpiece, a 13-plus minute journey crafted masterfully to build up from a subtle but energetic bass riff with floating guitar and keyboard parts up to a big riff, then through variations in timing and texture, allowing solo spots for organ and guitar. But none of the solos are over-indulgent or tiresome, and the playing all around is solid and well-conceived. So take a step back from the slew of new releases and check out this gem from a few years back. If you like Motorpsycho’s take on music, you’ll probably enjoy this as well.